Opinionated? Yes. Informative? Absolutely. Interesting and inspiring? You bet. Not too many woodworkers can claim five decades of business success, but Christian Becksvoort is among them. In “Shaker Inspiration,” he shares not only his woodworking knowledge and some of his best professional techniques for producing top-quality work, but also the business advice that helped him establish and sustain his long career in a one-man shop. Plus, he shares measured drawings for 13 of his own well-known furniture designs and seven Shaker pieces that he’s reproduced. Whether or not you, like Christian, are inspired by the Shaker tradition, you’re sure to be inspired by one of the best-known names in woodworking. “Shaker Inspiration” begins with information that all woodworkers need – the nitty gritty of how to successfully make trees into furniture. This requires a firm grasp of wood movement – one of Chris’s specialties – and he shares many of the tricks he uses to ensure his pieces remain sound through the seasons and generations. The lessons are both big and small, from the advantages to working with a single species to how to calculate how much a drawer front will move inside a house with forced-air heat. Every page of this section is filled with little shop tricks that Christian has used to become a productive woodworker, from how to remove dovetail waste to how to align a drawer front and drawer side perfectly when dovetailing. After all the great information on the technical side of things, Christian dives into discussing the business side of things. He pulls no punches in discussing the difficulties of life as a furniture maker and designer. "Getting started, you do whatever it takes to pay the bills. We’ve all done our share of kitchens and built-ins, and replaced porch railings. After more than five decades, I can do the woodworking almost in the dark. It’s the business end that’s a constant challenge, and it keeps me on my toes." He offers straightforward advice on setting up your shop, from the roof to the heat pump to the sign you use to announce your business to customers. Even how to set up relationships with suppliers and subcontractors. It is a sobering section, but if you ever want to set up a woodworking business, it’s the type of information that is almost impossible to come by. Finally, “Shaker Inspiration” dazzles you with three sections of photos and measured drawings. 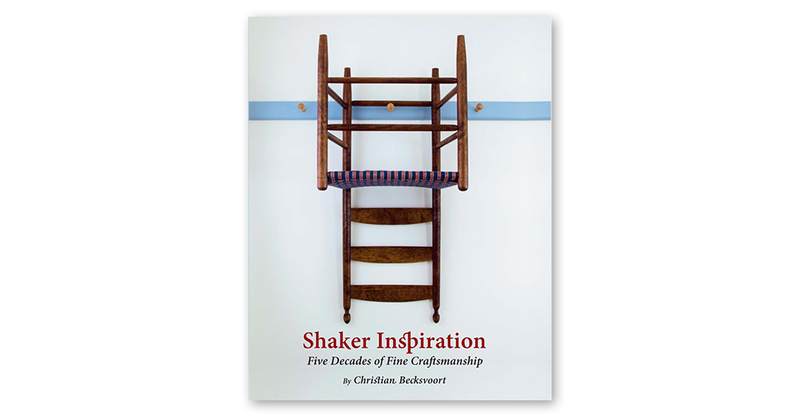 The last 60-odd pages offer a collection of Christian’s original designs, reproductions of Shaker pieces he’s made (and made famous) and photos of the original Shaker pieces that have inspired him the most as a craftsman and a designer. In addition to a beautiful photo and details about the piece, Christian shares a construction drawing of each project that will allow intermediate woodworkers to produce their own version. “Shaker Inspiration” is 166 pages and produced entirely in the United States. The 8.5" x 11" full-color book is printed on heavy coated paper. The pages are sewn and glued for durability and covered in cotton-covered boards. A tear-resistant dust jacket completes the package. Christian Becksvoort has five decades of experience working in a variety of custom, architectural and furniture shops. In 1986, he opened his full-time studio. He works alone, designing, building, finishing and – in some cases – even delivering custom furniture. 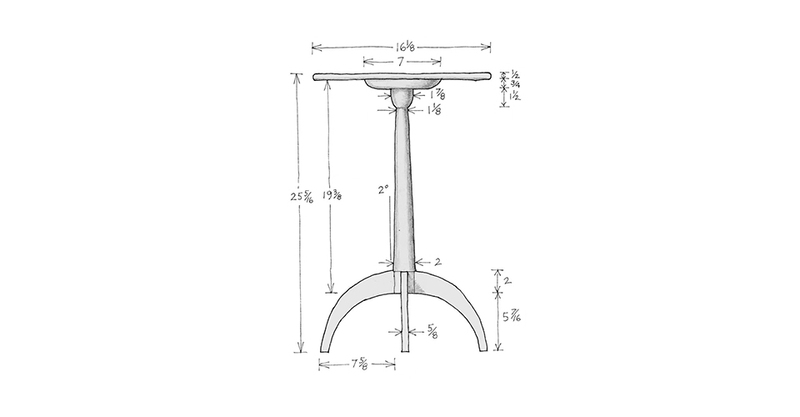 Much of Christian’s furniture is inspired by the Shaker tradition, with clean, unadorned lines and fine craftsmanship. He typically works in native, sustainably harvested cherry, and he uses a simple oil finish. 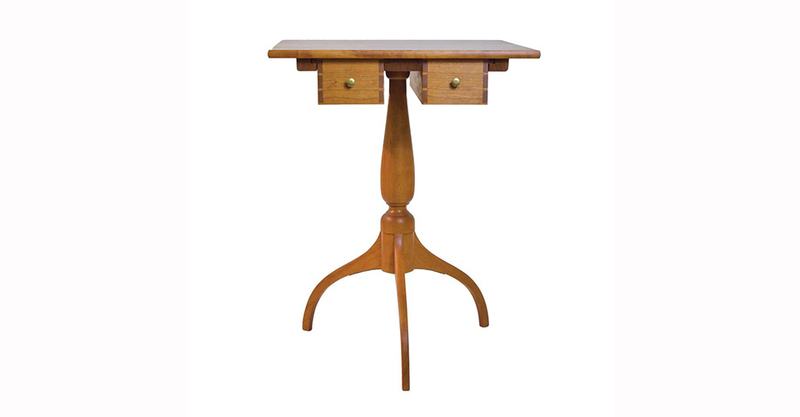 And while he is known for several signature designs, each of Christian’s finished pieces is tweaked at least slightly to be unique (with the exception of a set of chairs), and built specifically to meet his customers’ needs (while exceeding their expectations). Since the mid 1970s, Christian has been privileged to do restoration work for the last active Shaker community at Sabbathday Lake, Maine. 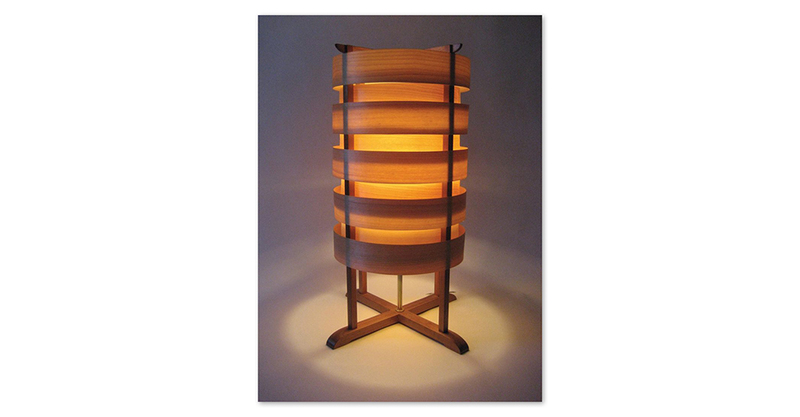 He is also a long-time contributing editor to Fine Woodworking magazine.